Holy Moly! It is really almost August... 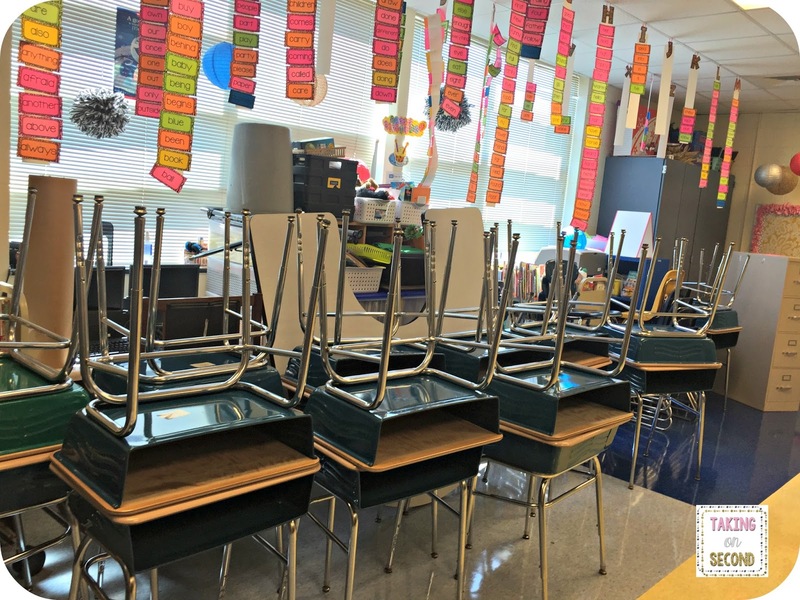 I just got into my classroom this afternoon and boy was was it a WRECK! I will be going back tomorrow to finish...the only thing I got done was unstacking the desks! Oh well! It will get done! 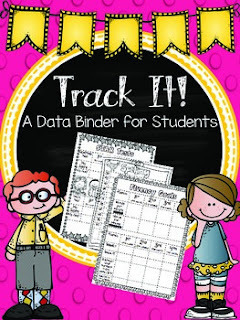 There is something new I am going to start this school year, student data tracking. 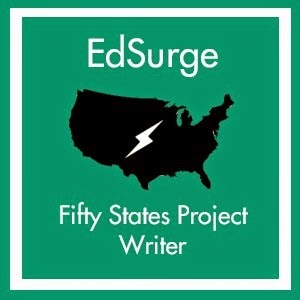 I keep hearing how it helps raise student scores by letting them track their own data, so I'm going to find out! 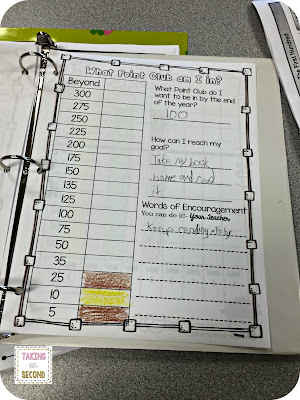 *AR Graph-Goal setting and point club page; The point club is filled with my school’s goals. There is also a blank one for you to fill in yourself. 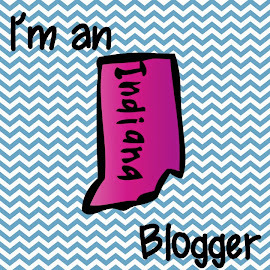 There are also several cover options, some specific to 2nd grade and others that are for any grade level. These are available in color or black and white. 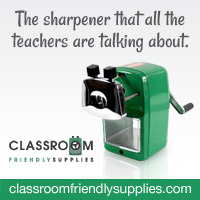 There are fluency trackers for each nine weeks. 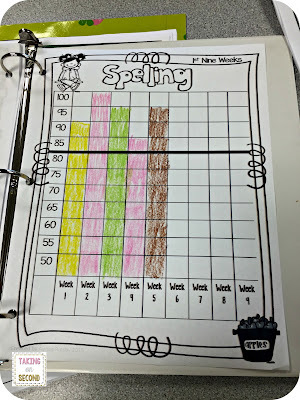 Students will color in their fluency after each running record. I would like for students to bring their binder to the table with them so we can discuss their results. 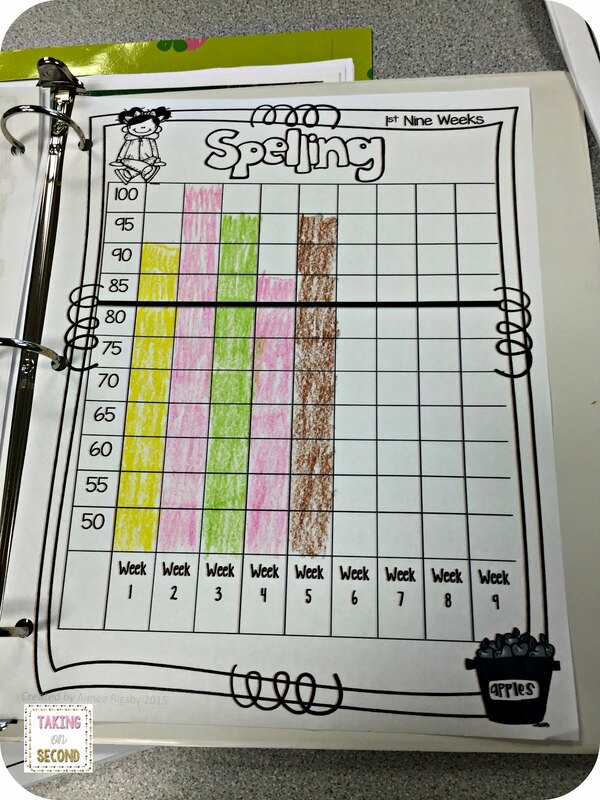 Students can also track their spelling grade for each nine weeks. This is set up out of 20 points. My students have 16 spelling words and a word wall word sentence worth 4 points. (capitals, punctuation, spelling, complete sentence) The black line represents their goal for each test. Our school uses the Accelerated Reader program. Students have school wide point clubs that they get rewards for. Students love earning those points, even though I am not a totally fan of AR. 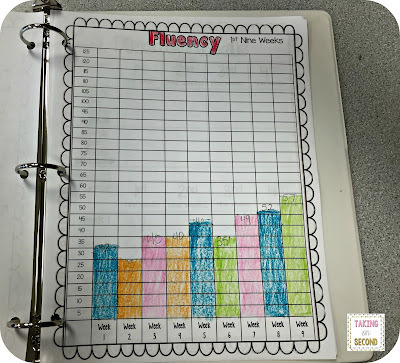 This page helps students track what point club they are in. There is also a blank sheet for you to fill in the specific goals for students. 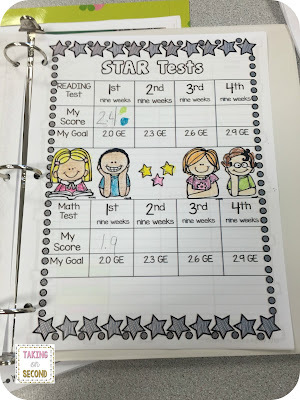 Students can track their end of the year goal, as well as remind themselves how they can reach their goal. My favorite part of this page is the "Words of Encouragement" area. This is a place for friends/classmates of the student to write words of encouragement to help the reach their goal. Toby said to "Keep reading!" 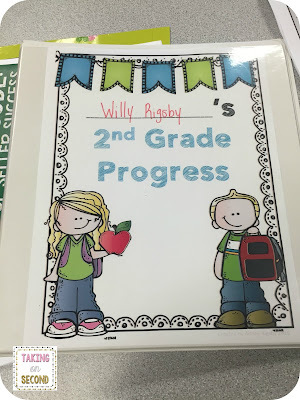 to help encourage Willy to read. 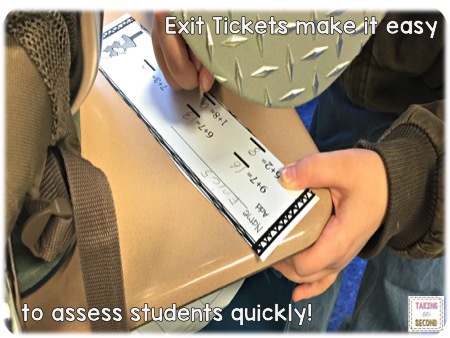 Along with AR, we also use STAR tests to determine a student's grade equivelent. Our AR books are sorted by "dot" level so students can also record their dot level, as shown with the green and blue dots, to help them remember. 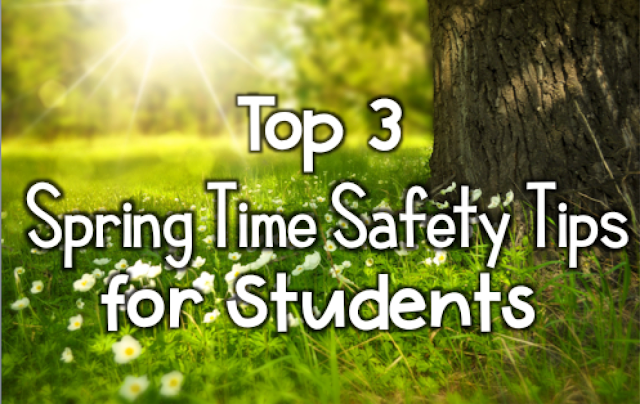 Don’t have enough words to thank you that you choose this particular topic to write about. Viva Las Vegas TPT Conference!